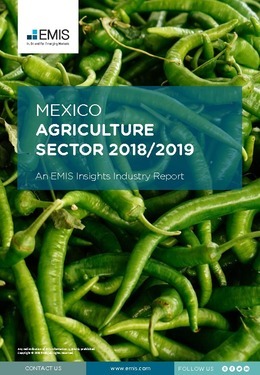 Agriculture is one of the key economic sectors of Mexico, accounting for 3.4% of the country’s GDP, 13.4% of formal employment and 4.6% of national exports in 2017. Moreover, the sector was one of the main driving forces of the economy in 2017, with GVA rising by 3.4% y/y, well above the overall GDP growth of 2%, supported by both strong domestic demand and rising exports. The country ranks among the world’s top ten producers of a variety of crops, livestock and fishery products, including maize, lemons, oranges, pork, beef, poultry meat, octopus, tuna, shrimp and sardines. Nevertheless, the extent of agriculture’s exposure to the US – which absorbed about 80% of its exports in 2017 – remains one of the main causes for concern, in view of the ongoing renegotiation of the North American Free Trade Agreement (NAFTA) between the US, Mexico and Canada. This report provides a complete and detailed analysis of the agriculture sector for Mexico. EMIS Insights presents in-depth business intelligence in a standard format across countries and regions, providing a balanced mix between analysis and data.